The Memorial Candle Program has been designed to help offset the costs associated with the hosting this Tribute Website in perpetuity. Through the lighting of a memorial candle, your thoughtful gesture will be recorded in the Book of Memories and the proceeds will go directly towards helping ensure that the family and friends of Raymond Sellan can continue to memorialize, re-visit, interact with each other and enhance this tribute for future generations. 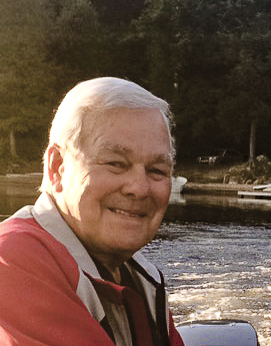 With heavy hearts we announce the passing of Raymond Sellan on Sunday, October 7, 2018, at the age of 85. Ray was so loved by all who knew him. He will be forever remembered by Olive, his wife of 63 years, and by his children Donna (Justin), Joe (Janet) and pre-deceased by his son James (Susan & Paul). Cherished grandfather to Simon (Holly), Paul (Nina), Richard (Aynsley), Samantha (Steve), Ryan, Caitlin, Stephanie and Adam. Dear brother to Norma and Loretta. He will be fondly remembered by so many including his great-grandchildren, extended family and a large circle of friends. Ray was happiest being around people, young and old. He was a funny, kind, loving and all-round wonderful man. He touched everyone who met him! He was simply the best! His passing will leave such a void in all of our hearts. Family and friends will be received at Ward Funeral Home (4671 Highway #7, Woodbridge) on Wednesday from 2-4pm & 6-9 p.m. A funeral service will be held in the Ward funeral home chapel on Thursday, October 11, 2018 at 10:00 a.m. Interment to follow at Holy Cross Cemetery. In lieu of flowers, donations to Prostate Cancer Canada would be much appreciated.